The matrix’s invisibility is secured, then, by the very activity of the changes it produces, of the constant nonidentity of its component parts. Yet the product of the matrix is an obsessional fantasy, a recurrence which, in each of its repetitions, is the same. The visual field is defined as everything that causes light to fall onto the retina. It is the extent of the observable world that is seen at any given moment – ever changing, unstable and potentially infinite. These raw inputs are computed by the nervous system, which processes them into a set of readable outputs. Basically, it extracts and treats the needed information and discards the rest, by carrying out a number of complex tasks that give organisms the ability to see. Could we do without the physical rules that control this mechanism? No. We would be visually overwhelmed to the point of turning blind. It is an imposed structure, but we need it. Photography is the most direct mimicry of this natural process and it brings about the same possibilities and limits within the artificial world. When a picture is taken, objects outside the frame are simply not recorded: it is the basic postulate of the photographic action. On the disciplinary level, this would appear to imply the role the photographer is usually asked to perform: to tell a story, limited to an event or a series of events in the clearest and most effective way. Seen from this perspective, the camera becomes the recording tool of an informative system and the photographer is prohibited from pointing it towards anything that does not contribute to the general purpose, which is always functional to the narration. Whether it carries a real message or not, the peripheral vision is sacrificed on the altar of the subject. Massimiliano Tommaso Rezza places this dilemma at the very origin of his practice. Gray area, ferial life, liminal world are some of the terms he singles out to define everything that falls outside the visual field of photography, all the elements that are generally considered weak – not bright or interesting or intense enough to be recorded and processed – and that are excluded for this reason by the photographic system. This realm of trivial existence – a kind of “non-subject” similar to an inexhaustible and mainly unexplored matrix made up of dull, muffled components – is the land where Rezza chooses to move, or rather, where he is driven by an unavoidable urgency to look outside the frame. Like a cold beat, this impulse operates invisibly, behind the constraints of repression, corroding the distinctions of vision dear to a great deal of art and cultural history. At this point, one may be led to think that the only chance to fathom such an enormously vast field that cannot evidently be represented is to radically subvert and indiscriminately negate the established visual praxis. Not necessarily. In fact, Rezza’s photographs do not follow any specific stylistic rules literally, nor do they intend to break them. They respond to compositional harmony as well as to the formal constraints that make them readable to our eyes. More simply, Rezza assumes the spectrum of attitudes which are neglected by the photographic structure: the slowness, the prolongation, the weight and the prolixity. Whereby the given paradigm is built around the imposition of a superstructure, his rebellion is played in a minor, subterranean key. The result is an accumulation of images: only through proliferation is it possible to retrace the fickle and blurry traits of the human world under threat by the ineluctable power of visual stereotypy. But this is not sufficient, yet. The impact with reality is a further juncture to be faced. When shot, a photograph still lives a parallel life of infinite possibilities, that all seem to dissolve once it is transformed into a physical object. On the one hand, the “mother image” always maintains the power to regenerate itself by taking on different forms. On the other, the material support is so decisive in its nature to the point that the picture we see on a page is always different from the way it presents itself in a frame. A printed photograph is a breathing body held in an ever-lasting state of apnoea: while this is true for every kind of photograph, it is even more hazardous to the survival of the fragile matrix Rezza supervises through his lens. How can one give shape to a pulsating universe of images? How can one bring it outside the potential stage of immateriality without wrecking it? Here lies the crisis: the translation is always an act of distortion, which is painful but necessary. Exactly as it happens in the visual and photographic systems, a book is also a closed scheme that imposes what and how to see. Massimiliano Tommaso Rezza knows it well, since his matrix – an extensive archive that has been ceaselessly growing for the last four years – has already undertaken the step of becoming a physical manifestation. The turning point hides in the awareness that every manifestation is a temporary contingency, the embodiment of a volatile substance that by nature is subject to changes in the environment. This consists in leaving the images freely adapt to different circumstances and supports, as if they are admitted to embrace the optimistic chaos of organic life. As a consequence, the book structure must not be destroyed, but moulded into a shape that supports the photographs, rather than vice versa. 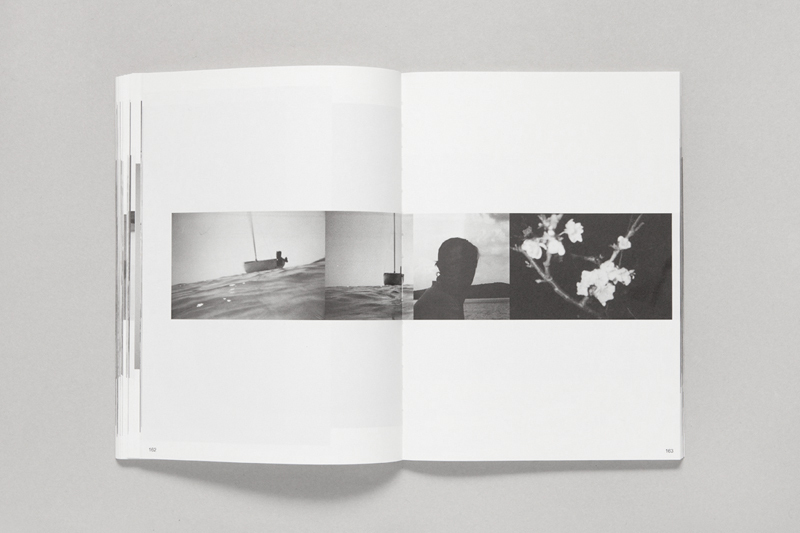 To let the photographs present themselves as they are, without any editing nor graphic intervention, and to allow them to interact autonomously within an uninterrupted flow of pages, demands us to accept that they may decide to fight against one other and even to hide from our sight on the basis of pure chance. 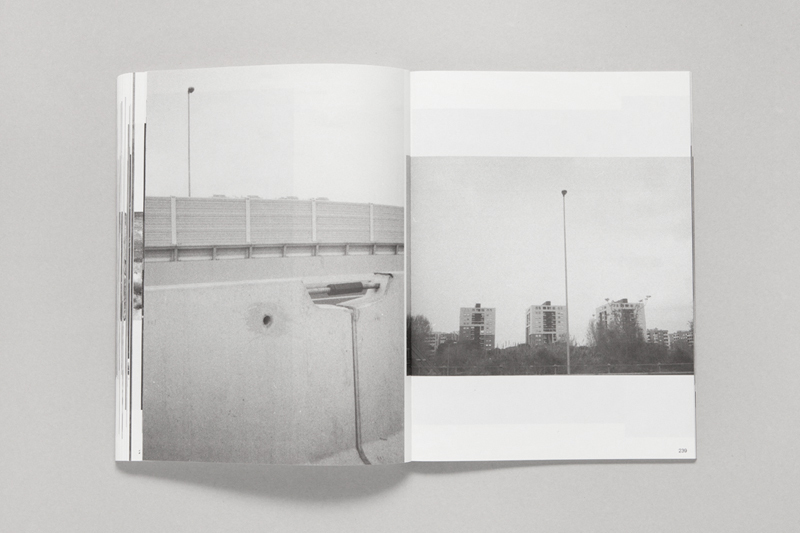 This text was written for the book ATEM by Massimiliano Tommaso Rezza, published by Yard Press (Rome) in May 2015. In agreement with the author, who does not feel his production strictly related to the book format and who thinks photography is a mutable and manifold matter, we publish a book free of the precepts that habitually regulate the flux of its content and the usual relations between the photographs and the pages. The volume’s content does not derive from a sequence of images designed according to aesthetic rules, based on formal and conceptual balance, but it has been obtained through a purely random process lacking of any type of selection refinement. 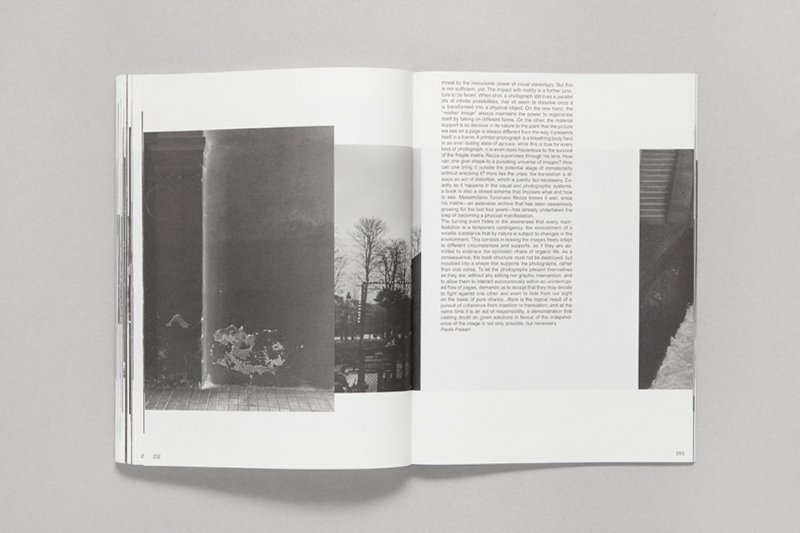 All the photos in the book rigorously respect the numeric order of the photographic source – that is, the author’s archive made of thousands of images – and are presented consecutively respecting their original format regardless of the book’s page dimensions. 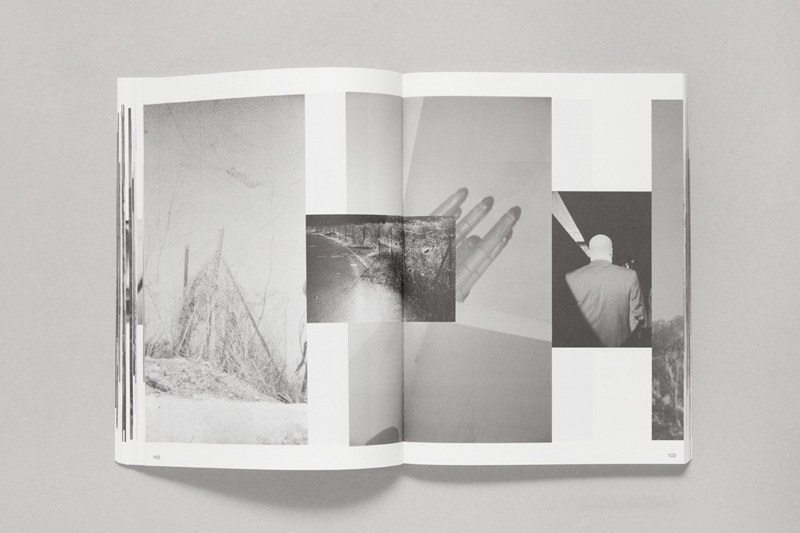 At a later moment in the book’s design, the individual pages were randomly shuffled without caring about the page bleed or the overlapping between the photographs. The book that results from this process becomes a container that houses the images without any control over them, but granting them the uncommon freedom to create new ones.